Ho Chi Minh City, Nov 2: Five-time World Champion M.C. 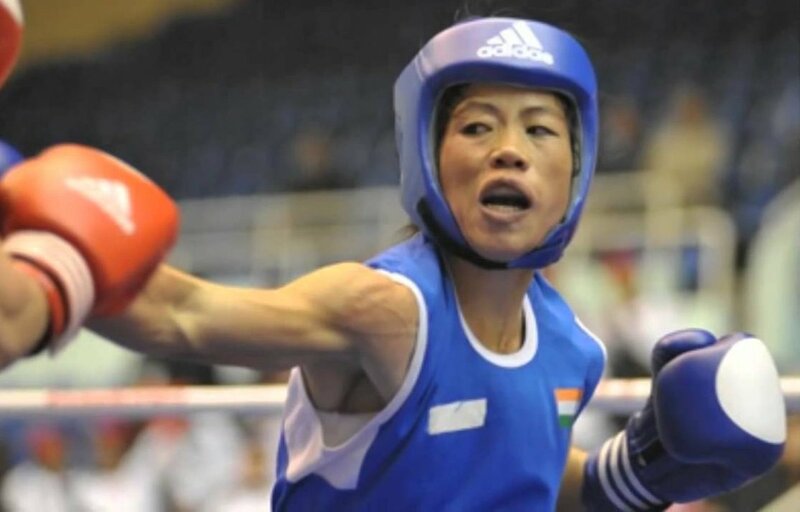 Mary Kom and fellow Indian Shiksha scored clean victories to ease into the quarter-finals of their respective weight categories at the Asian Womens Boxing Championships here on Thursday. Mary Kom got the better of local star Diem Tri Tinh 4-1 in the 48kg category while Shiksha pummelled Oyun Nergui of Mongolia 5-0 in the 54kg class. Mary, returning to the international circuit after more than a year's gap, did not show signs of any ring rust in her opening bout. She began on a cautious note, as both the boxers preferred to play the waiting game and maintained a safe distance from each other. It was in the second round that the Indian, a four-time Asian champion, upped the ante and landed crucial blows. She also displayed better reflexes which handed the initiative to her. In the final round, the Vietnamese tried her best to come back but Mary brought all her experience into play to ward her off. "I might have been a little nervous initially. But once I stepped in to the ring, it was all gone. It was a good victory and a very sweet one too as I was making a comeback after a long time," the Manipuri pugilist said after the bout. "She is a good boxer and I had to be at the top of my game to beat her. The journey began on a good note for me and I hope that I continue my run," Mary added. Mark Kom will now take on Meng-Chieh Ping of Chinese Taipei in the quarter-finals and a win in that bout will assure her of her sixth medal in the Asian competition. Later, Shiksha also moved a step closer to a medal when she swept aside Oyun Nergui. India are already assured of at least one medal as Seema Punia found herself to be one out of only four boxers in the +81kg category. She will fight directly in the semi-finals and even if she loses she will return home with a bronze.